Which is odd, because in what should become the biggest Freudian slip scandal in false-flag history, certainly since the Gulf of Tonkin, yesterday Dutch Foreign Minister Frans Timmermans accidentally revealed for the very first time ever, that one of the Australian passengers aboard the doomed airplane “appears to have donned an oxygen mask before the fatal crash, suggesting some on board might have been aware of their impending deaths, a Dutch official disclosed.” Clearly a crucial aspect of the crash, as it points at the severity of the alleged explosion, yet one which was not noted until yesterday and which completely skipped the purvey of the official crash report for reasons unknown. Needless to say, this makes a complete mockery of the story that the plane had exploded upon impact with the “Russian” missile, and is why there was supposedly no trace of any impact on the flight’s black box recorder. 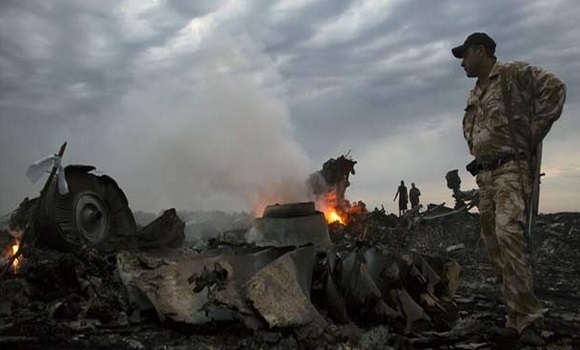 Whether or not it also means that the alternative theory that a Ukraine jet had purposefully downed the Malaysian aircraft to serve as a pretext to implicate Russia, is unclear. But it also means that yet another conspiracy theory becomes fact: namely that whoever were the western powers who doctored and manipulated the “official” crash report of MH-17 to implicate Putin, not only lied but fabricated evidence. Dutch Foreign Minister Frans Timmermans apologized on Thursday for making the revelation on a television talk show the previous night, before the families of the 298 victims of the disaster had been notified of the disturbing discovery. When talk show host Jeroen Pauw interviewed Timmermans on Wednesday night, he provoked the minister with accusations that he had dramatized the victims’ last moments as a preliminary investigation report suggests that the Boeing 777’s destruction was so swift that those on board were unlikely to have known anything was amiss. Well, actually we did not know because the official report that your country released Mr. Timmermans, and which we posted a month ago said that “high-energy objects from outside the aircraft” struck the airplane as it flew at an altitude of 33,000 feet, suggesting it had been struck by a missile. Nothing on the flight data or cockpit voice recorders indicated the crew or passengers took any action in response to the fatal impact. Which means the entire report is a fabrication. The mask found around the neck of the unnamed passenger, one of 88 Australian citizens and residents on board, was tested for fingerprints, saliva and DNA but produced no forensic evidence, De Bruin said. “So it is not known how or when that mask got around the neck of the victim,” he said. The discovery of the mask and the implications it raised about the passengers’ final moments were conveyed to the Australian’s family before Timmermans’ interview on Wednesday night, the prosecutor’s office said. But information was sent out to other family members of the MH-17 victims only on Thursday morning. Timmermans issued a statement Thursday saying he regretted making the comment. We are confident that everyone else in the false-flag waving Western camp very much regretted Timmermans’ comment as well.